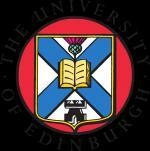 The University of Edinburgh is offering undergraduate scholarships in Mathematics to students of outstanding ability from countries outside the European Union for the academic session 2019-2020. The scholarships are worth either £1,000, £5,000 or £10,000 per year and are tenable for the duration of the program of study, subject to satisfactory academic progress. Scholarships are awarded to applicants from countries outside the European Union who are accepted for full-time admission to an undergraduate degree program offered by the School of Mathematics at the University of Edinburgh. The scholarship is not available to students already on program. It is also not available to students studying Mathematics as part of a degree program hosted by another School within the University.